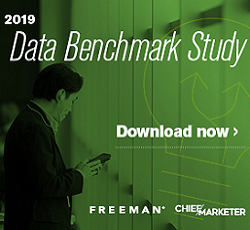 Half of B2B professionals have a lack of confidence in the quality of their marketing data, hindering adoption of ABM to increase engagement in key target accounts. Only 38 percent of marketers surveyed said account based marketing (ABM) is part of their go-to-market strategies, according to a new report from Dun & Bradstreet. This could be because of the lack of confidence in their data: 88 percent of respondents said quality data is crucial for ABM success. A meager 6 percent of marketers not currently executing ABM strategies said they planned to begin within the next six months. For those who were implementing ABM, email was the top tactic in their toolbox, used by 85 percent, followed by one-to-one meetings (76 percent), social engagement (66 percent), personalized content (60 percent) and workshops or private events (57 percent). Alignment with sales was the top factor cited for ABM success (49 percent). Also ranking high were the ability to identify top accounts (46 percent), ability to measure success (46 percent), budget and people/resources (38 percent each). Eighty-nine percent of respondents said data quality is increasingly important to their sales and marketing organizations, up from 80 percent in 2017 and 75 percent in 2016. 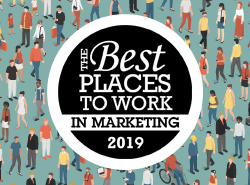 The annual B2B Marketing Data Report surveyed 250 B2B sales and marketing professionals at the director level or above. Only a third of respondents said they felt confident in their attribution capabilities, from initial outreach to a closed sale. 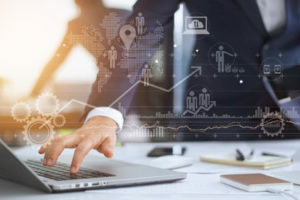 While many B2B marketers have made significant investments in CRM, nearly 40 percent of respondents said they still feel like beginners when it comes to successfully integrating data with those systems. Over 90 percent of respondents cited difficulties in aligning sales and marketing data about prospect companies and contacts in multichannel campaigns.